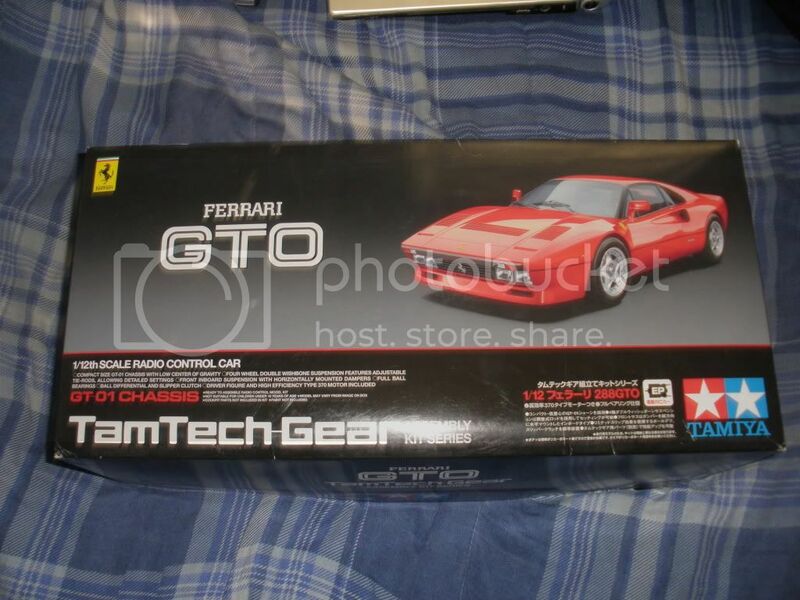 forever ago i bought one of these ferraris to try to get me into understanding hobby grade cars and electronics( i want to be able to mod tyco's). i haven't touched it since i got it, its already mostly built i think all it needs is a speed control and radio and reciever. it came with two 1800 7.4v lipo batteries. 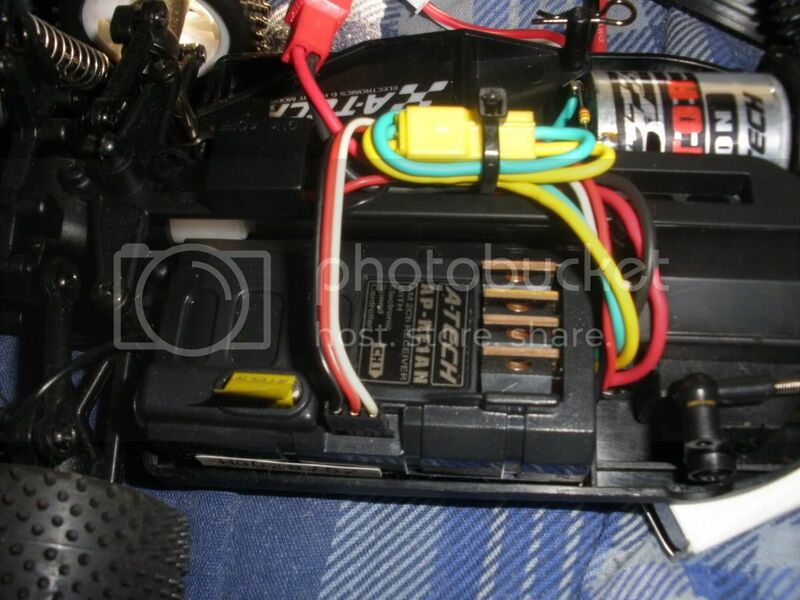 i don't know anything about lipo's and charging or speed controls and radios and recievers. i will have pictures soon so you can help me out better. but all input is welcome! 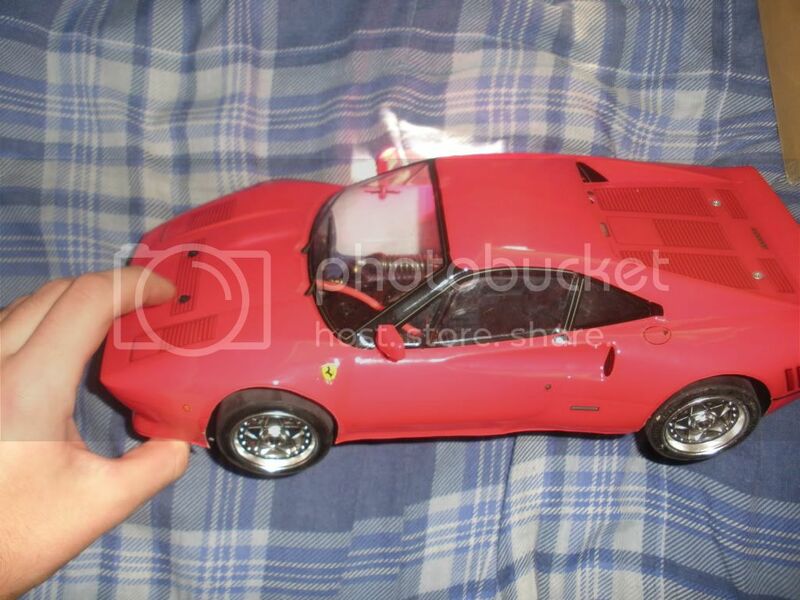 it doesn't have the original motor in it although i do have it. "If there are no such things as stupid questions than what kind of questions do stupid people ask? Do they suddenly become smart right before they are about to ask a question?" here is a little a tech biggie, don't know if i could use these components. 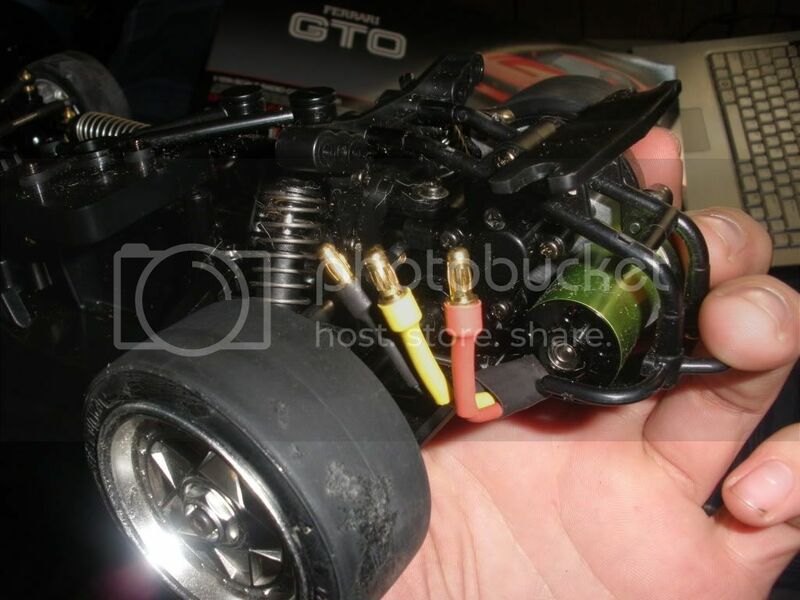 ive been building hobby grade cars for about 18 years and race rc every friday night so i think i can help you out. first off the lipo batteries are great but require a lipo charger, a good lipo charger can be had for aroud 40 bucks. if you run lipos you will need to have a speed control with a lipo cut off, if you dont have a lipo cut off it very easy to ruin your lipo packs. once you drain a 7.4v lipo past 6.6v its junk and is totally unsafe to charge. 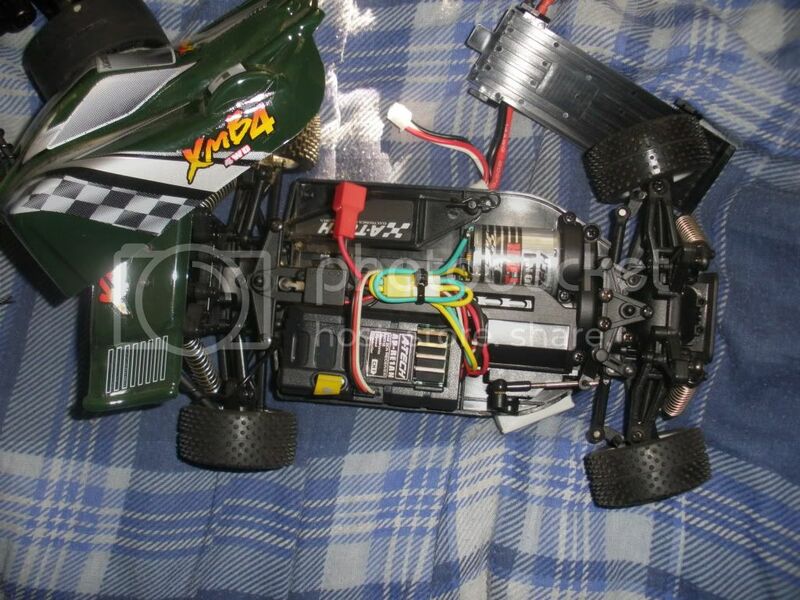 the green motor you have is a brushless motor and requires a brushless speed control. the other electronics you showed a brushed and would work just fine, keep in mind that brushed esc doesnt have a lipo cut off. if you go to hobbyking or hobbypartz you can find a cheap esc that will run that brushless motor and have a lipo cut off in it. i did a hooby grade conversion on my eliminator and used an axial ae1 speed control in it. it was the only esc i could find that would allow me to run the stock tyco battery packs. i used the axial esc with the stock tyco motor and it was a huge difference, the truck will wheel stand in high gear from a dead stop. if you need more info just ask. the fly sky is supposed to be good but ive never used it myself, but for the price you cant beat it. i like that charger wish it wasn't out of stock. speed control seems like a good price. fly sky has good reviews wish it was in stock. so with all these is should complete my car??? 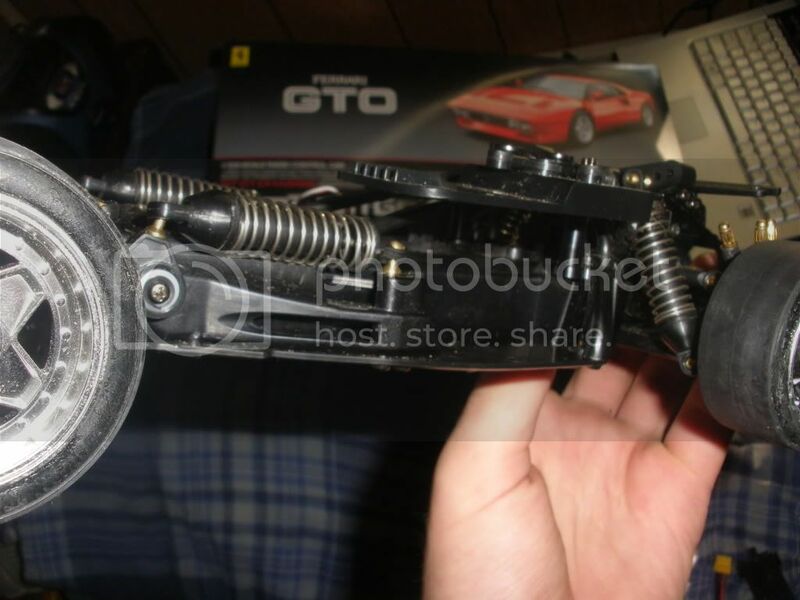 you will need a servo for the steering but other than that you should be good to go. isn't this cord hanging out from the servo? 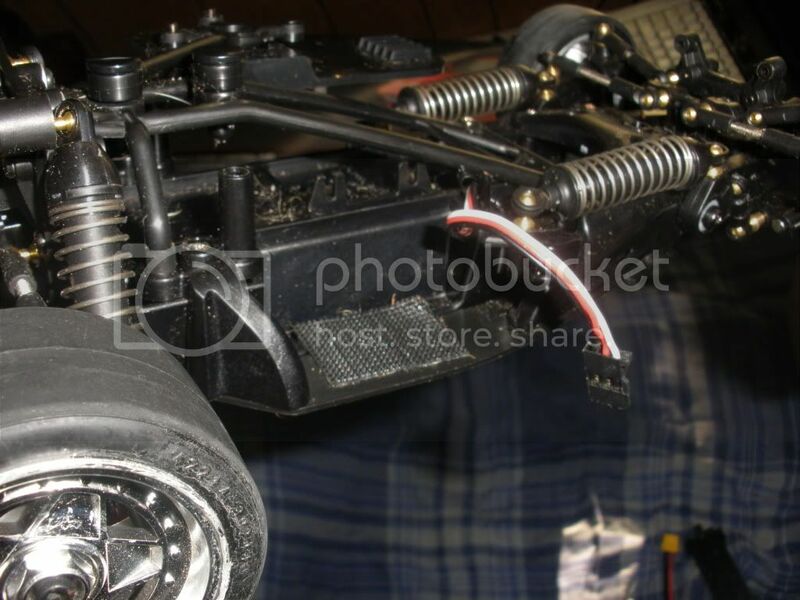 ok yea thats the servo, didnt notice the wire. you should be good to go. how many 49mhz eliminators you have? one. 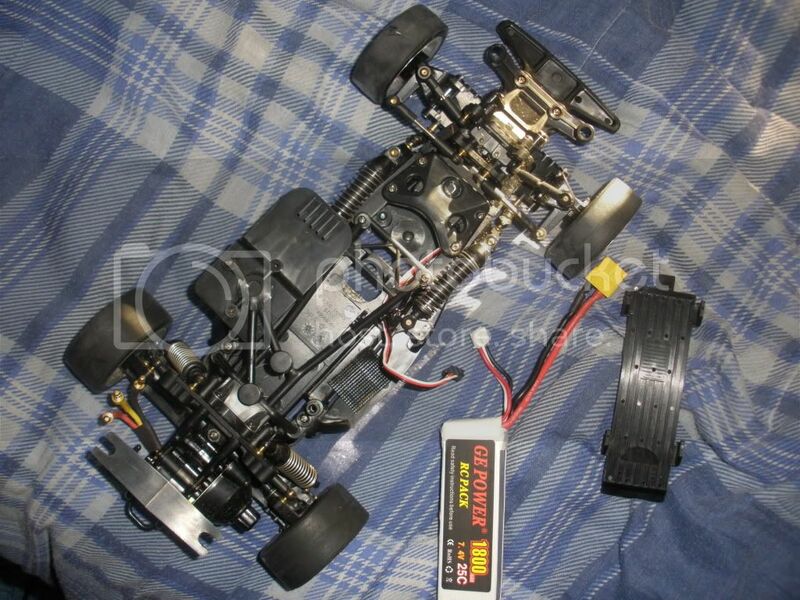 i had two parts ones, i made an eliminator traxx out of one. how do i know what speed control to use, i see on hobbyking.com they are split into categories of <20 amp, 20-39 amp, and so on. what tells me which to use?